It’s good news from Beverly Hills, for a change. Several sources — including Better Bike’s Mark Elliot and the city’s mayor — tweeted late last night that the city council voted unanimously to install bike lanes on Santa Monica Blvd as part of the current reconstruction of the iconic street. Credit Elliot, who never gave up on the seemingly lost cause, despite years of rejection from the city. Maybe it’s time to stop calling it the Biking Black Hole of Beverly Hills. Or maybe we should wait until there’s paint on the ground, just to be safe. Update: Mark Elliot has written his story on the approval — including the news that the council voted to make the lanes hi-viz, which will piss off the film industry. Meanwhile, Joni Yung reported live from the meeting on Facebook. Thanks to Joni for the heads-up. Once again, a heartless coward has fled the scene after hitting a bike rider, leaving his victim writhing in pain. KCAL-9 reports Michael Starr was not seriously injured in the crash caught on security camera on Alvarado Street near Sunset Blvd in Echo Park early Friday morning. But Starr had no way of knowing that at the time. And neither did the driver who hit him. The suspect is described as being about 30 years old, with olive skin and a dark goatee. His car appeared to be a 5 or 7 Series BMW with a license plate starting with WXP. 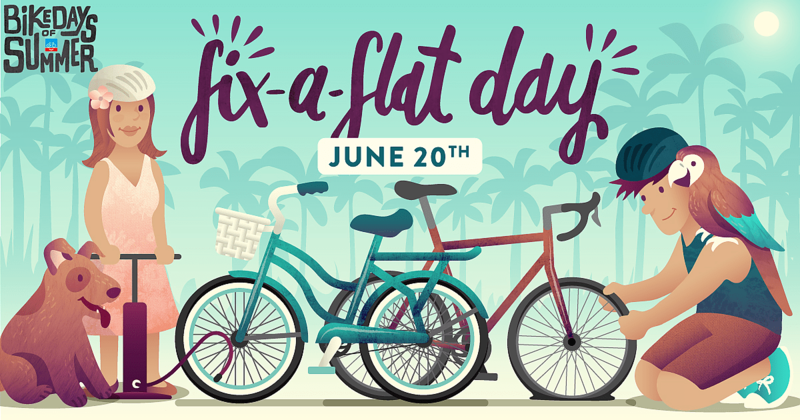 People for Bikes unveils their new Bike Days of Summer campaign to get people out on their bikes, with one day each month dedicated to a specific theme. Although we already missed the first one. Besides, they’ll have a hard time topping this bike safety jam. Caught on video: A Mexico City cyclist goes on a hair-raising ride to rescue a runaway dog and return it to its owner. Federal prosecutors lay out why they’re picking on Lance Armstrong in their $100 million lawsuit, even though he wasn’t the only one on the US Postal team who doped. Odds are team leaders knew exactly what was going on, as well. But Lance makes a convenient, and high profile, scapegoat. Meanwhile, Lance’s lawyers want Greg LeMond and Betsy Andreau to be prevented from testifying, and USADA decision than detailed his doping regimen barred from evidence. Britain’s Cyclist magazine takes a look inside RAAM, calling it the toughest ultra-endurance race of all. The Orange County Register reports on the June 11th Ladera Ranch Gran Prix, just a tad late. VeloNews says LA’s own 24-year old cyclist Coryn Rivera is just getting started, despite 71 national titles. Improvements are finally coming to the Ballona Creek bike path, which will be under construction — but not closed — for the next three weeks between Sepulveda and Lincoln Blvds. An LA company is introducing a new e-cargo bike on Kickstarter; right now, you can pre-order yours for the low, low price of just $2,799. The LA Times reviews Blood Road, the documentary about champion cyclist Rebecca Rusch’s bike tour along the Ho Chi Minh Trail to visit the remote site where her father died in the Vietnam War. Caught on video: Someone broke a window at Burbank’s H&S bike shop, stealing a pair of Rocky Mountain bikes worth around $4,000 apiece; two other bikes have been stolen from them in recent weeks. South Pasadena will hold the groundbreaking for the Arroyo Seco Pedestrian and Bicycle Trail this Saturday. Thanks to Megan Lynch for the tip. Bike SGV discovers the first signs of incipient bikeshare coming to Pasadena. The Malibu city council hears the recommendations of the PCH parking study, which really addresses safety on the deadly roadway through the lens of improving parking. However, no word on what they intend to do as a result. Skip the traffic and ride your bike to Santa Monica’s Twilight Concerts on the Pier, and take advantage of the bike valet. The same goes for this weekend’s inaugural Arroyo Seco Weekend at the Rose Bowl. Streetsblog talks with Caltrans Sustainability Director Ellen Greenberg about changes in the state transportation agency. Fullerton announces plans to create a two-mile bike boulevard along Wilshire Blvd, to be completed late next year. LA’s bike plan calls for a network of Bicycle Friendly Streets as the city calls them, exactly zero of which have been built. And probably won’t. 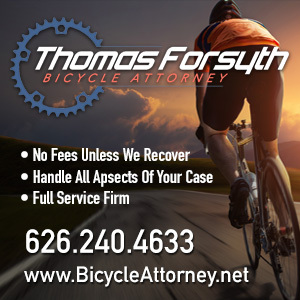 Once again, a dangerous driver manages to stay on the road until it’s too late, as a Menifee bike rider suffered severe, but not life-threatening, injuries when he was hit by an alleged drunk driver with a suspended license and history of DUIs. If you were planning on mountain biking in Hemet’s Simpson Park any time soon, you might want to change your plans; it’s closed for the foreseeable future due to fire danger. Bixby the Dog received the “bone to the city” in San Luis Obispo Tuesday; the rescue dog had been traveling the country by ebike with his owner to promote animal rescue until stopping in SLO to have some malignant growths removed. An Alaska teenager competing in a mountain bike 5K trail race was killed by a black bear in a rare predatory attack after he veered off the trail and got lost; he had called his brother to say he was being chased by the bear. Despite what this story says, he was actually competing in a running race, not on a mountain bike. Which doesn’t make it any less tragic. Thanks to Mark for the correction. Detroit hopes new bicycling infrastructure can help reverse an increase in deaths and serious injuries. The murder of a young Muslim woman in Virginia wasn’t a hate crime, unless hatred of people walking and on bikes qualifies; the teenager was part of a group that got into a dispute with the road raging driver, who hit her with a baseball bat, then dumped her body in a pond. There’s not a pit in hell deep enough for the murderous jerk who killed her. Thanks once again to Megan Lynch. David Suzuki writes that two centuries after their invention, bicycles are still the most efficient and beneficial form of transportation we have. A city in the Netherlands installs a 3D-printed concrete bike and pedestrian bridge at virtually no cost by using recycled materials along with the 3D-printing. A German politician parks his cargo bike in the middle of a traffic lane to pop into a bakery to protest drivers who use the same excuse to park in a bike lane. Hit-and-run is not just an American phenomenon. An Iraqi cyclist was the victim of a speeding driver who fled the scene after fatally striking him. An Australian TV network looks at the partnership between the country’s Deacon University and America’s only remaining Tour de France winner to dramatically cut the cost of producing carbon fiber for a wide range of applications. The competition among China’s dockless bikeshare companies claimed its first victim after 90% of the company’s bike were lost or stolen because, unlike its competitors, it neglected to install GPS on them. Bicycle touring is seldom boring, but now it’s a board game. Also not boring, your very own bicycle wall of death. And you can see all kinds of things when you ride a bike. Like Irish people schtupping, for instance. Yesterday we had a guest post by Better Bike’s Mark Elliot discussing the return of the never-ending debate over bike lanes on Santa Monica Blvd, which is back for discussion before the Beverly Hills City Council at 7 pm tonight. Stephen Collins wrote to the mayor and city council in response, urging them to approve the desperately needed lanes, which is the missing link between existing lanes in West Hollywood and Century City. He agreed to let me share his letter with you. I write to urge your strong support of Bicycle Lanes on Santa Monica Blvd. I ride this route regularly, and there is a stark contrast between the safe, relaxed, and predictable riding I am able to do on this same street through nearby West Hollywood, and the dangerous, nerve-racking, and unpredictable riding I must choose if I stay my path into Beverly Hills. A popular website for cyclists called Strava publishes an aggregate map of where their users ride. I would like to draw your attention to how important Santa Monica Blvd. 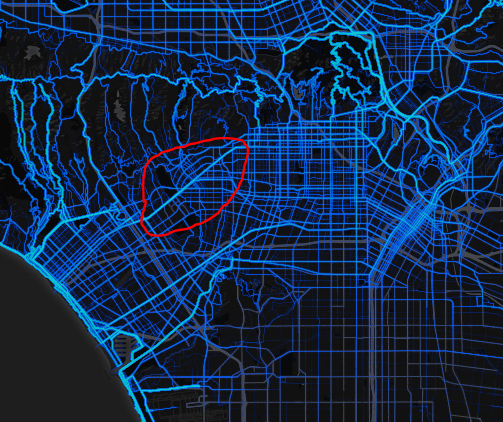 is to the region in the image below, where I’ve approximately circled the segment through Beverly Hills. Brighter lines indicate higher utilization. As you can clearly see, this is the most important East/West route for bicyclists North of the 10 Freeway. It’s utilization is on par with streets like Venice Blvd (complete bike lanes, with recent safety improvements in Mar Vista), San Vicente Blvd (complete bike lanes), Sunset Blvd through Echo Park/Silverlake (complete bike lanes) and even the Ballona Creek Bicycle Path, which is car-free. This is the most important stretch of road in the whole area which does not have complete bike lanes. You should have no worries that an investment in safe multi-modal transit for the future of Santa Monica Blvd will be underutilized. If you haven’t, I would also encourage you to take a single short ride along this segment of road one weekday morning or afternoon, in either direction. Cars and buses move swiftly in open sections of road, and completely jam forward progress when traffic gridlocks. Neither of these are nearly such a concern to cyclists in neighboring communities on this route. The wide, green lanes in WeHo are a delight, but even the striped lanes on the other side through Century City are leaps and bounds more safe and comfortable to ride than the section through Beverly Hills. This is a very important bicycle thoroughfare for the region, and Beverly Hills has an opportunity to step up to or even exceed the standards in safety and environmental consciousness set by its neighbors on the same road. 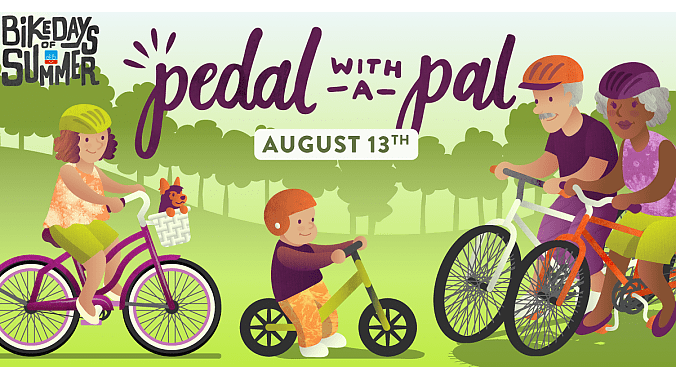 It can also be used to encourage cyclists to visit your business district, and to allow community members safer access to their favorite shops in town. Thanks for your consideration of this matter. I am sorry I am unable to attend your meeting tomorrow – thus my note. 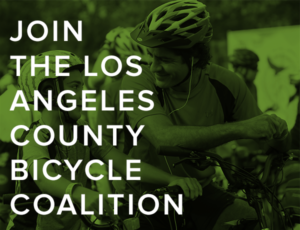 If you’d like to voice your support, you can attend attend the meeting at 7 pm in the council chambers at Beverly Hills City Hall, 455 N. Rexford Drive. If you can’t make it, email your support to mailto:[email protected], and indicate whether you are a resident or work there. Don’t miss yesterday’s great guest post by Better Bike’s Mark Elliot about the return of the never-ending debate over bike lanes on Santa Monica Blvd through Beverly Hills. After being rejected several times in recent years, they will be back before the Beverly Hills City Council at 7 pm tonight. The anti-bike NIMBYs will undoubtedly be out in force once again. So turn out in person if you can; if not, email to voice your support for a desperately needed safe route through the city. Here are the vital details from Elliot’s post. 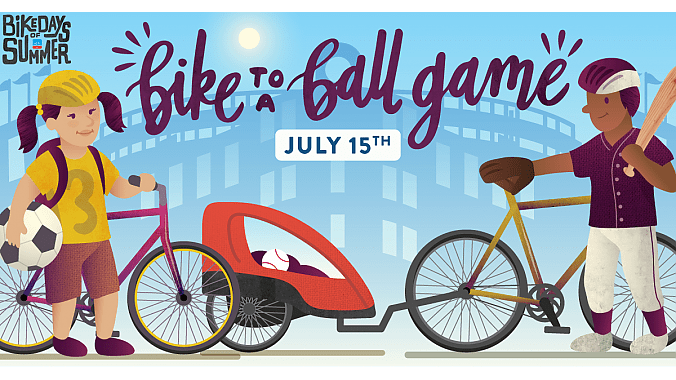 Help us support bicycle lanes for Santa Monica Boulevard! Please contact City Council by email with your support for high-visibility bicycle lanes. Reach Council at [email protected] Your short statement should indicate whether you are a resident and/or if you work here. Those are important considerations for any councilmember. Plan to attend the meting on Tuesday, June 20th in Council Chambers, City Hall, 455 N. Rexford Drive. The curtain will rise at 7 p.m. and the main act should hit the stage at 7:45 or so (please refer to the agenda). A British survey confirms that many disabled people use bicycles as a mobility aid, finding that traveling by bike is easier on them and healthier than other means. Yet they are frequently required to dismount and walk their bikes, despite using them in the same way someone might use a wheelchair or mobility scooter. 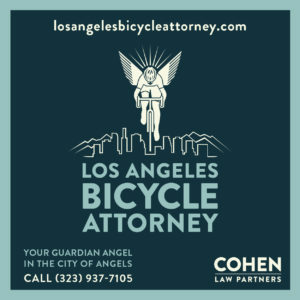 Which is something else to consider in bike-unfriendly Los Angeles, where the city’s disconnected bike non-network could raise issues of compliance with the ADA (American’s with Disabilities Act), if it prevents people with physical mobility issues from using their bikes to get around. A Canadian cyclist got pulled over by a cop, not because he was speeding on a descent, which he was. But because he was doing it in the traffic lane, which forced drivers who wanted to zoom even faster above the speed limit to change lanes to pass him. Go ahead and think about that one for awhile. Italian cyclist Gianni Moscon is back to racing after a six-week suspension for making an alleged racist comment to another rider, which he kind of denies. Hundreds of cyclists have competed in RAAM. But how many have done it without any legs? 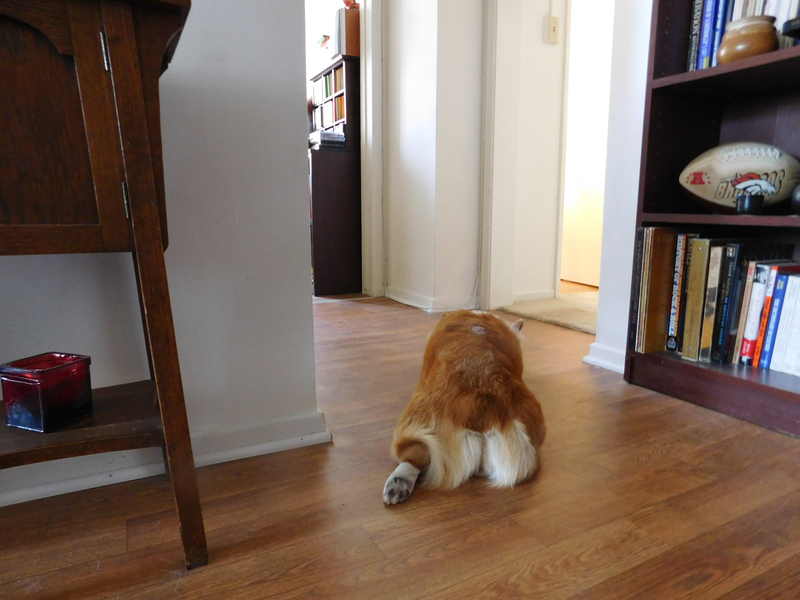 Then again, racing with one arm and a bum leg isn’t exactly easy, either. 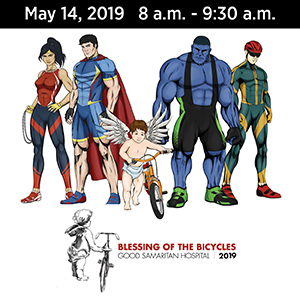 The 25th annual Yukon to Alaska Kluane-Chilkat International Bike Relay will have to wait a year, after the race was cancelled due to a very late spring snow storm — except for the unicyclists, who decided to ride it anyway. And no, you won’t be getting your money back. Transportation planner and UCLA faculty member Ryan Snyder says LA must be a bikeable city in order to be a world class city. Apparently, Elon Musk thinks you’re going to want to walk or bike through his underground tunnels. LA designer Phillip Lim was inspired to get into the movie business while on a bike ride along New York’s East river with a director friend. CiclaValley explores the eastern portion of Angeles Crest Highway. 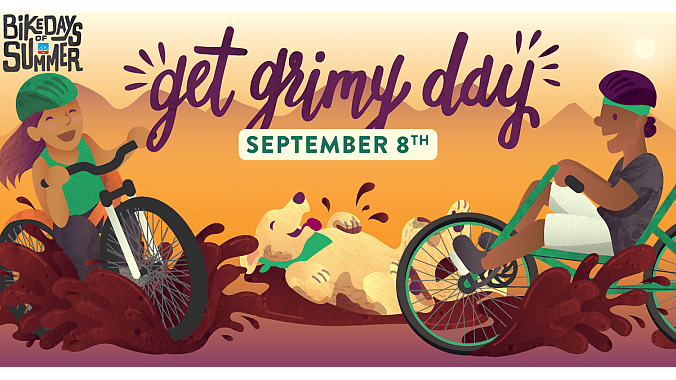 Santa Monica Spoke is hosting a community ride with the mayor of Santa Monica this Sunday. Bicycling injuries have dropped for children and teens in California, while more bike riders over 55 are suffering injuries serious enough to visit the ER. The most obvious explanation is that fewer children and teens are riding bikes, while more people over 55 have taken up recreational riding. A transient bicyclist was injured when he was hit by a car in Anaheim while ghost riding a second bicycle. Let’s hope police checked the ownership of the second bike; ghost riding is a common way to transport a freshly stolen bicycle. People continue to be attacked by rock-throwing residents of homeless camps, for no apparent reason, along a popular bike path on the American River in Sacramento; one rider was seriously injured last week. A mobile bike co-op helps keep Ukiah bicyclists on the road. A pro skier is spending her summer selling homemade gourmet popsicles by bicycle in Lake Tahoe. Deadspin offers a comprehensive guide to riding your bike, saying buy a goddam helmet and don’t buy that fixie; thanks to Mike Wilkinson for the link. Meanwhile, Bicycling explains everything you need to know about ebikes. A Texas writer says yes, bicyclists have to obey the law, too. But we bear the brunt of collisions when drivers don’t. After an Arkansas teenager set up a lemonade stand to try earn money for a bicycle, kindhearted strangers gave him two bikes, and bought more lemonade than he could make. Austin TX residents have started a crowdfunding campaign to raise funds for the Spanish-speaking bike rider who was shot in the face with a shotgun by a man who said he was just blowing off steam. A writer for the New York Post seems to think she’s the victim after people take offense at her tweet that she’s nearly been run down by cars twice and by bikes 3,763,459 times, and that we should be grateful that the city has been transformed for bike riders. Maybe she could try looking up before she steps off the curb next time. 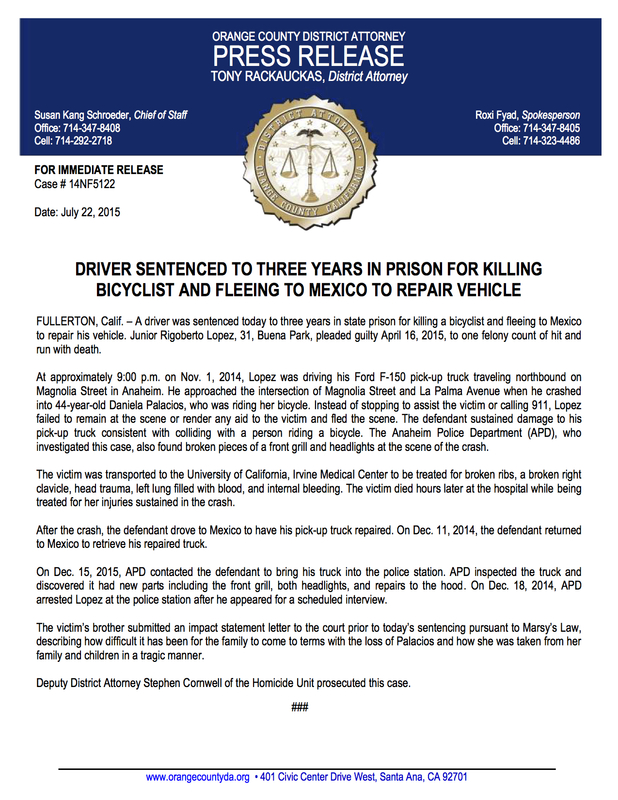 A New Jersey man gets 35 years for killing a bike-riding man who got caught in the crossfire of a shootout near his home. Now if they’d just take it that seriously when people use their cars as weapons. A Philly writer takes offense when two cops refer to bicyclists as “hood ornaments” on Facebook. Although it’s more offensive that police officials didn’t. In a report that should surprise no one, a Canadian newspaper concludes that drivers usually receive nothing more than a fine for hitting a bike rider. Which makes Canada pretty much like just about everywhere else. After 14 months of sobriety, a Canadian man is riding over 5,100 miles across the country to raise awareness of addiction. I want to be like him when I grow up. An 85-year old Quebec man is still riding 25 miles a day, and says crashing is just part of the sport. Except for the crashing part, that is. A Montreal cyclist survives by hiding in a small hole after encountering a tornado on his ride. Lululemon is getting into the “small” bicycling market by investing in a Canadian bikewear maker. Bike riders in Canada’s Maritime Provinces call for more to be done to protect people on bicycles. London’s new walking and cycling czar lays out plans for the future of bicycling in the city; the city’s new cycle superhighways and quietways have boosted bicycling rates 56%. Britain’s Cyclist magazine takes a tour of Fausto Pinarello’s personal bicycle collection. The Italian soccer coach who promised his team he’d ride across the country if they avoided relegation to a lower league finishes his 800-mile journey in nine days. Caught on video: A bike-raging Aussie cyclist lashes out at a woman driver after she pulls out of a parking space into his path, apparently without looking. Seriously, don’t throw a temper tantrum like that. And if you do, don’t be stupid enough to post it online. A new survey says more women in Canberra, Australia are riding bikes — including BMX bikes. However, the opposite is true in the country’s New South Wales state, where cycling rates are dropping, especially among women. Which couldn’t possibly have anything to do with NSW’s draconian fines for cycling violations that went into effect last year. No, Fox News host Sean Hannity was not killed in a bike crash — and didn’t fake it to catch a terrorist, either. Hold your horses on getting that poop transplant. And don’t chase bike riders in your creepy clown suit.